What's written below is taken from a speech I prepared for a seminary wife gathering at the end of the school year. It was also posted on E's school blog. I don't usually blog about this kind of stuff, so I thought this might give you a glimpse into what the school part of our life was like for the last three years. (It's hard to describe how intense it has been!) Thanks for reading. When my college boyfriend (now husband) E told me he was changing his graduate school plans from law school to seminary I was surprised, but surprisingly unresistant. I certainly had no idea what I was getting myself into. As I adjusted to the idea, I was curious about his desire to attend seminary when at the time he didn't necessarily feel a call to pastoral ministry. I will never forget what he shared about why he needed to study the Bible full-time for four years – it was because he felt it was the only thing he could do. I’m so thankful that in the four years he has spent here, God has made his calling stronger and clearer. Seminary is an intense, immersive period of study for students. It commands more hours than most full-time jobs and is far more emotionally, spiritually, and mentally taxing. But for future ministry, a seminary education is an absolutely irreplaceable step in that process. Our time at seminary has been real life practice and preparation for gospel-centered service at home, at church, and in the world. It has not just been his time to study, it has also been my opportunity to learn from the faculty, and from a unique community of fellow students and their wives involved in the same journey. I have learned more lessons than I thought I would from our time in the seminary community and I thought I’d share just a few in reflection. 1. His mind is engaged in study (his ‘work’) even when it doesn’t look like it. 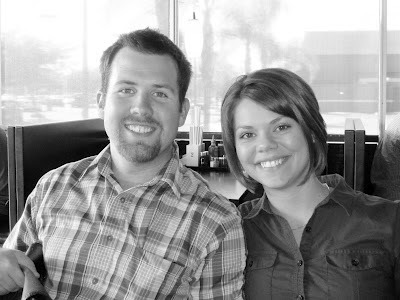 When we first got married and E’s second year of seminary started, I was working hard at a new job and found it difficult to reconcile that his work sometimes involved him sprawled on the couch with books and coffee, while I made dinner and did laundry after being in the office all day. I got jealous when he spent time and money going out to lunch with a professor or fellow students, while I ate leftovers. While we quickly worked out a better way to split household chores, it took me until nearly the end of his time at seminary to respect and understand how much important education happens outside of the classroom and library. But the friendships he has made with the faculty and his fellow students are going to be the fuel, encouragement and edification for years of ministry to come. It is for this reason I would urge anyone considering seminary to attend a small seminary, on-campus. The experience has been indescribably valuable. 2. Listen first, ask questions next, offer criticism last and sparingly. Seminary is different from many graduate programs in that it involves the student's family. I have learned to listen carefully as my husband explains a new concept from his classes, because I finally realized that his being able to communicate ideas to me allows him to gauge how well he understands the material. It is also my opportunity for theological education and edification and it has prepared me for a lifetime of learning from him both at home and in a future church. From painful personal experience, I also learned the value of offering constructive criticism sparingly, carefully, and never the same day as the sermon is preached. Most guys feel drained and disappointed by their weaknesses immediately following their sermon, so encourage first and often by sharing what you learned, how you were fed, and especially, where you heard the Gospel clearly. 3. Encourage time away from studies to pursue hobbies. E realized in his third year his need for an outlet away from seminary. Because I work at there, we both spend all day on campus. He learned he needed a break from studies and the seminary community to pursue other interests. For us, this meant he pursued a few hobbies on his own and a few we share (archery, backpacking, and gardening, to name a few). 4. Seminary involves sacrifices, but it is only temporary. These next two, three, four years will test your faith in a sovereign God, your choice of spouse, your spouse’s choice of career (err, calling). It may test all the things you thought you knew about the Bible and church, and it will test your sanity. You will make enormous sacrifices to attend seminary. You’ll wonder how many more books can possibly fit in your tiny apartment. Or why on earth he needs ALL of them. You will wonder why his professors are torturing him with so much work. There will be a temptation to resent other seminary couples who have more financial aid, better or cheaper housing, fewer semesters left in their program. There will be a temptation to give up when the going gets tough. Seminary life may not be comfortable, but it does not last. There is no greater privilege than to spend these years getting the tools for a lifetime of studying the Bible. Which is why, looking back on my three years in San Diego as a seminary wife, I have deep gratitude to God and to [E's school] for keeping the Gospel at the center of all they do. It was all worth it.